If you’re seeking the ultimate compact crossover and are slightly overwhelmed by just how many options there are in this incredibly popular class, you should start by checking out the Honda CR-V. This vehicle excels in so many ways that you just might be able to stop your search right here. For starters, the CR-V provides the generous cargo room you need for all your varied purposes. Whether you’re loading up sports gear, luggage for vacation, the week’s grocery haul, or those irresistible yard sale findings, the CR-V’s huge cargo hold can accommodate it all. The CR-V also ensures pleasant and relaxing road trips, with cutting-edge technology features, comfort amenities, and safety equipment that will keep everyone inside connected, protected, and happy. Knowing Honda’s reputation for excellence in engineering, reliability, and overall quality, you can be completely secure in your choice to buy or lease the CR-V. The only thing that would make it better? An exceptional price tag – and that’s exactly what you’ll get when you shop Brannon Honda! We have a great selection of all the new Honda models you love, plus an extensive inventory of high-quality pre-owned vehicles as well. All of them are priced low from the start – and that’s even before we add in our amazing specials and incentives! Ready to check out the CR-V in person and take your favorite trim for an exciting test drive? Head straight to our conveniently located Birmingham dealership and let one of our friendly associates put you behind the wheel. Your search for the perfect compact crossover ends here! While the 2019 CR-V is primarily a carryover from 2018, that doesn’t mean it doesn’t continue to set the bar for compact crossovers. The CR-V is easily at the head of the class, and when you consider how jam-packed that class is, this is a truly remarkable feat. Starting with a modern and stylish exterior design, the 2019 CR-V sets out to be a grade-A compact crossover – and it succeeds every step of the way! Underneath its attractive exterior is a feature-rich and upscale cabin with premium features and a sophisticated design. Honda Sensing keeps everyone onboard well protected no matter where the road takes you, and even the base model incorporates a desirable array of standard features that enhance connectivity, entertainment, and safety. Choose among four well-equipped trims – LX, EX, EX-L, and Touring – to find the perfect blend of features and amenities for your desires. Cargo space is massive and passenger space is more than ample, ensuring that road trips long and short will be peaceful and comfortable for everyone inside – and nothing will get left out in the cold. Learn more about the 2019 CR-V and how it can improve your life on the road when you visit Brannon Honda and explore our extensive inventory. Our brand experts are on hand and at your service to help you find the perfect vehicle at a price that will astound you. Did you know that “CR-V” stands for comfortable runabout vehicle? True to its name, the Honda CR-V has been a revolutionary figure of the compact crossover SUV class since its initial production in 1995. Being Honda’s first in-house sports utility vehicle, it was considered a luxury vehicle in Japan due to the exterior width dimensions exceeding Japanese government dimension regulations. This was no issue for the North American market. Introduced to consumers of the United States in 1997, the CR-V made a name for itself with its adaptable driving performance, sophisticated interior, superior safety and appealing design. The CR-V of today retains its core elements and continues to evolve to meet and exceed driver needs and expectations. As a reputable Honda dealership in Birmingham, AL, we strive to continue our legacy as leaders in the field of Honda vehicles by providing you utmost service. This goal is accomplished by our staff of industry professionals who are always available to help you during every step of your vehicle ownership process. 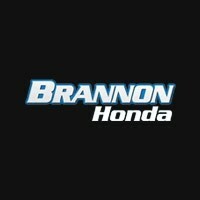 Our Honda sales consultants at Brannon Honda have the skills and the expertise to help you research, review, and compare our collection of models so you can feel assured you’re making the right selection. Stop on by and test drive a Honda CR-V for yourself today, we’re only a short drive from Vestavia Hills, Bessemer, Homewood, and Central Alabama!